So you are ready to buy a home but have some challenges with your credit score? There is a quick way to raise your credit scores without paying off collections and charged off accounts. Now your woodbridge mortgage lender more than likely will require negative accounts be settled or removed but this is not what will raise your credit score. In the video below I share the quickest way to raise your credit score. If you do not have these type of accounts on your credit report, contact us on how to get these accounts regardless of your past credit history. Let's face it credit scores affect everything from buying a home, insurance rates, and even job security. Interesting, I never knew that before, best to keep an eye on what you spend and not go over budget. Wow. Thanks for that tip Markita. Also, I think your shirt is awesome. You're quite the personality! 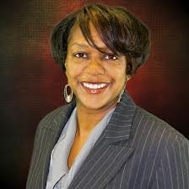 Hi Markita Woods NMLS#190699 Loved your video and the explanation on how to raise the credit scores. I am sure many are not aware of that 50% rule.